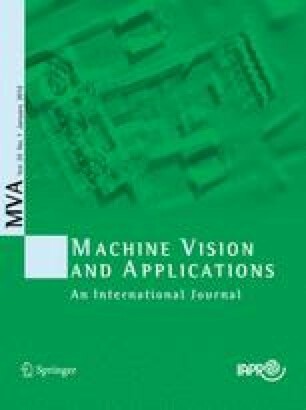 This paper addresses the human action recognition task from optical flow. This task is in itself an interesting problem, given the lack of accuracy and noisy characteristics of the optical flow estimation. Optical flow is one of the most popular descriptors characterizing motion, but due to its instability is usually used in combination with parametric models. In this work, we develop a non-parametric motion model using only the image region surrounding the actor making the action. To be precise, for every two consecutive frames, a local motion descriptor is calculated from the optical flow orientation histograms collected inside the actor’s bounding box. An action descriptor is built by weighting and aggregating the estimated histograms along the temporal axis. The proposed approach obtains a promising trade-off between complexity and performance compared with state-of-the-art approaches. The action recognition can also be done in real time by accumulating evidence from each new incoming image. Experiments on two well-known video sequence databases are carried out in order to evaluate the behavior of the proposal. The online version of this article (doi: 10.1007/s00138-010-0305-9) contains supplementary material, which is available to authorized users.